The value of a nation’s currency fluctuates regularly due to a large scale influence its economy. It is unmistakable that a nation’s economic factors significantly affect its currency’s value. The question is how these factors relate to forex and, therefore, in what way the economy influences currency. 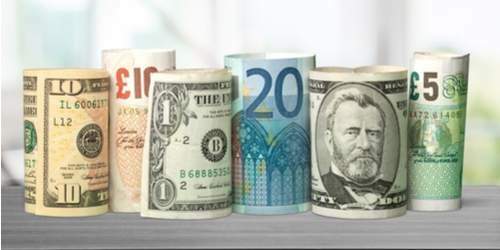 Currency exchange isn’t as prominent in the financial market headlines as the stock market and commodities but its fluctuation affects the stock market and commodities market strongly. The value of a nation’s currency is integral to its capability to purchase goods and its overall wealth. Taking into account the state of the currency value and trends is a great strategy to keep up with globalization. Economic factors influence the currency market mainly by the concept of demand and supply. A few examples of additional factors that affect currencies are interest rates, inflation and economic growth and political stability. The rate of interest of a nation is one of the economic factors that affect currencies. When interest rate increases, demand increases as well, consequently, when interest rates go down, the currency appears less attractive, and therefore demand decreases. Inflation is another economic factor that influences the fluctuation of currencies. Inflation is an apparent rise in prices concerning goods and services. When there is a covert demand for a product, its price will rise. A rise in price of certain goods or services is a substantial increment to a thriving economy. High inflation on the other hand lowers the money’s buying power thus lowering the value of domestic currency. Another one on the list of economic factors is the rate of economic growth. The rate of growth of an economy directly correlates with the demand for products and services. Governments always try to create more job possibilities draw in investments and capital. Economic growth can be measured by focusing on a nation’s GDP. A growth of 3% in GDP is a sign of growth while falling close to zero or a negative may lead to recession. GDP growth allows for low unemployment and higher national income to develop. It also means higher consumer spending. A very important economic factor that affects the value of a currency is political stability. A decrease in investor and consumer morale is usually what follows political instability. The absence of political stability may negatively affect economic growth, which leads to investors seeking for a stronger currency in exchange.